Lucy Yang speaks to the young girl exclusively with her parents' permission. RIDGEWOOD, Queens (WABC) -- One of the most recent incidents happened where there is a playground on the corner, a school, a library and a day care center. There are so many kids in the area, with so many potential victims to flash. With her parents' consent, Eyewitness News spoke exclusively to one of the young victims. "He caught me off guard. I took out a piece of paper for my bag and when I looked he showed himself," said "Kate," the 13-year-old victim. "I immediately said get away. Or I'm calling the cops. I pulled out my phone. He quickly left," she said. That was the last May as Kate was trying to catch her morning school bus. Since then police say there have been at least eight more frightening episodes. The last two on Thursday were just minutes apart. Detectives report most of the frightening encounters are concentrated in the Ridgewood section of Queens. "This is something that has to be stopped," said Michael Bradford, a resident. "Far too many times in a singular area." 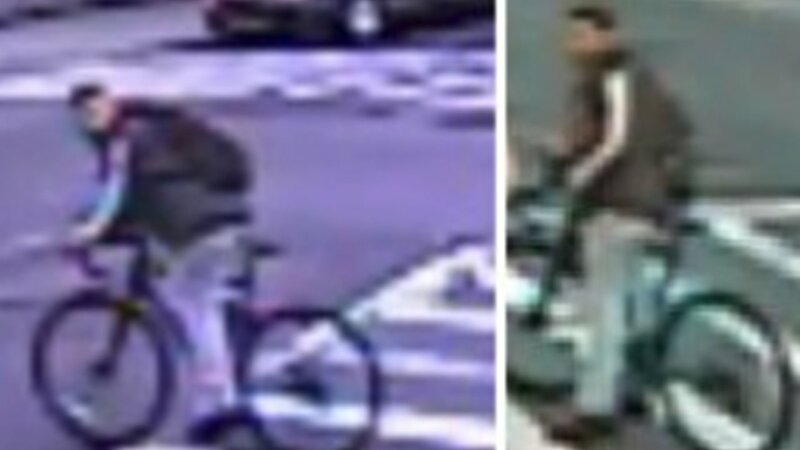 Police on Monday released surveillance images hoping it will help lead to an arrest. In most of the cases we're told the man would ask for a piece of paper, which most children have their backpacks. When the innocent girls tried to be helpful, police say the man would flash them before taking off on his bike. "It's terrible these people going around flashing kids," said Peter Lee, a local merchant. "Honestly, I think it's disgusting you need approach a young girl when she's trying to go to school. It's horrible," Kate said. Most of the flashings took place in morning hours while kids are racing to school. Police say the girls were not physically hurt. But families here are anxious for an arrest before these encounters have a chance to escalate.